Welcome to our Ibiza Boat Party Calendar 2019. Boat parties have become a huge part of peoples Ibiza adventure over recent years, with more and more of them taking place each summer off the coast of the white isle. Leaving from San Antonio, Playa d’en Bossa or Ibiza Town each boat party have there own unique routes, music styles and quirky concepts. Those leaving from Playa d’en Bossa and Ibiza town usually head for the beautiful crystal clear waters off Formentera while those departing from San Antonio tend to take in Es Vedra or the sunset which is a true spectacle to behold, dancing away as the sun goes down. 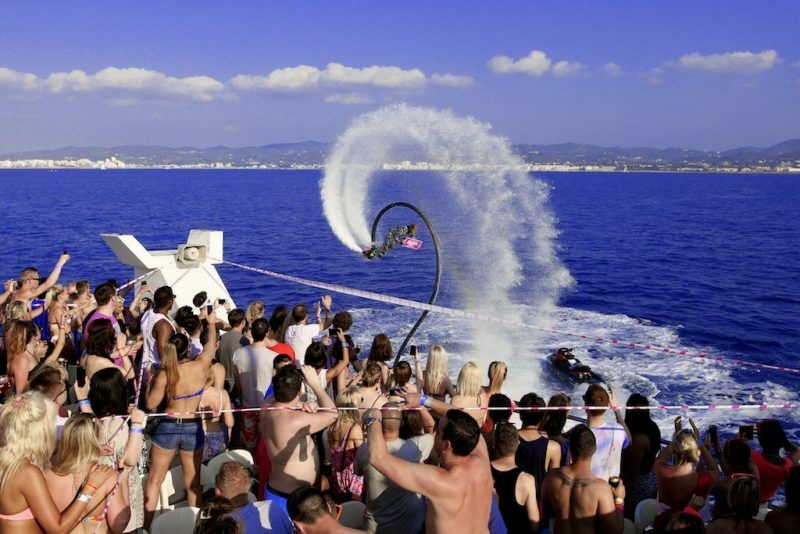 The boat parties include anything from one drink up to a free bar in the price of the ticket as well some offering entry to after parties and big club nights so check out the choices on offer carefully. Check out our Ibiza Boat Party Calendar 2019 below and choose your ultimate boat party. For our full Ibiza Clubbing Calendar click here. Mobile users turn your device to landscape view for a better experience.